Megalytic has rolled out integration with Instagram Insights data. Marketers can now easily incorporate Instagram performance data into their reports. The data available includes: followers, posts, likes, comments, video views, reach, impressions, demographics, and more. Like our integrations with Facebook, Google Ads, and others, the Instagram integration is powerful but simple to use. This short video shows how you can get started. Megalytic users can now connect with their Instagram business accounts and automatically report on followers, posts, likes, comments, and reach, and other key performance indicators. Reports, based on Instagram performance, can be created in a fraction of the time that it takes to build them manually. Additionally, Megalytic supplies a library of Instagram-specific widgets that can be customized to meet the needs of each individual marketing report. If you are using a personal Instagram account for marketing your company, you’ll need to convert it to a business account in order to track these statistics and report on them with Megalytic. 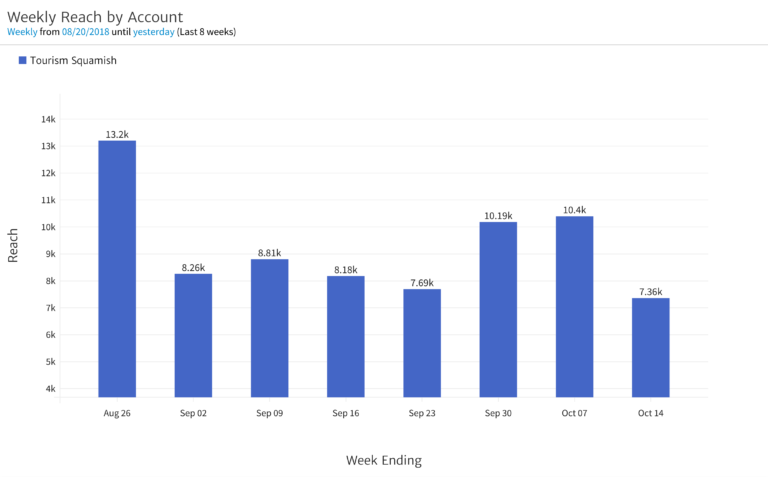 The chart below, generated from the “Instagram Insights” widget, shows the weekly Instagram account’s reach. “Reach” is the number of users who saw content from the Instagram account. Megalytic is easing the burden of manual labor required for digital marketing reports. Marketers can now create reports on their Instagram campaigns without the grunt work of data exports and spreadsheets. This is another step toward Megalytic’s goal of providing digital marketers a single tool that generates all the reports that their clients and colleagues demand. For those interested in learning more, Megalytic offers a free 14-day trial and multiple payment plans to fit various needs and budgets.